Flock-3p’ (Flock-3p ‘Prime’) represents the fifteenth Flock of Dove Earth-Observation CubeSats launched by San Francisco imaging company Planet. The company has been operating Dove satellites since early 2014 for the acquisition of Earth imagery at rapid revisit time by deploying a large constellation of satellites to orbit. 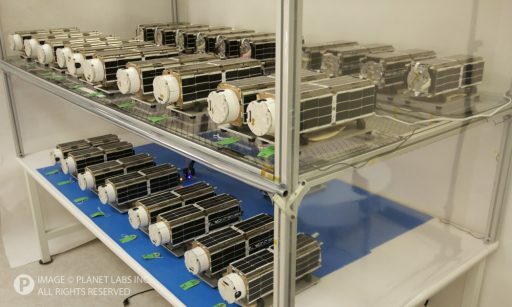 Planet, founded as Cosmogia in 2010, started out with four Dove prototypes launched in 2013 before inaugurating the operational version of their 3U CubeSats with the Flock-1 constellation launched from the International Space Station in February 2014. 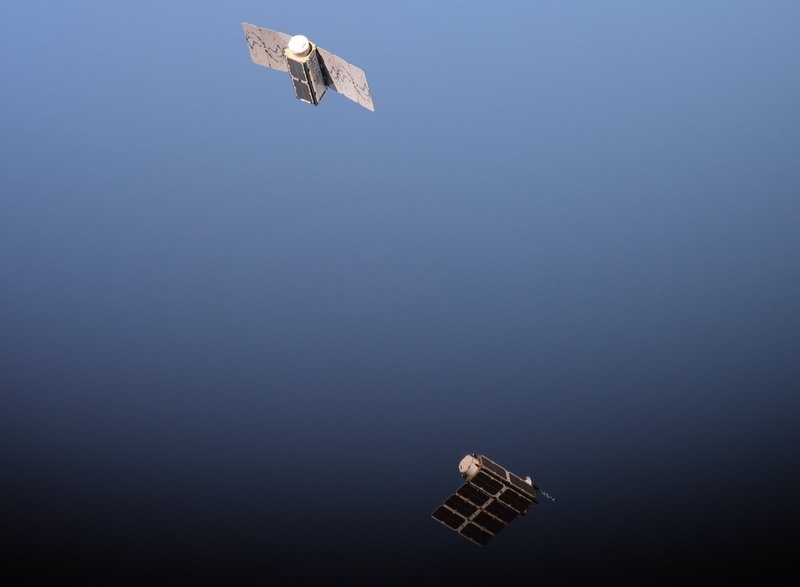 In June 2014, Planet introduced the polar-orbiting segment of their constellation by launching a dozen satellites to cover the entire planet as opposed to satellites deployed from ISS that fly at an inclination of 51.6 degrees. Before 3p’, Planet launched a total of 315 operational satellites, 273 of which arrived in orbit as some constellation segments were lost in launch failures and individual satellites suffered deployment failures. 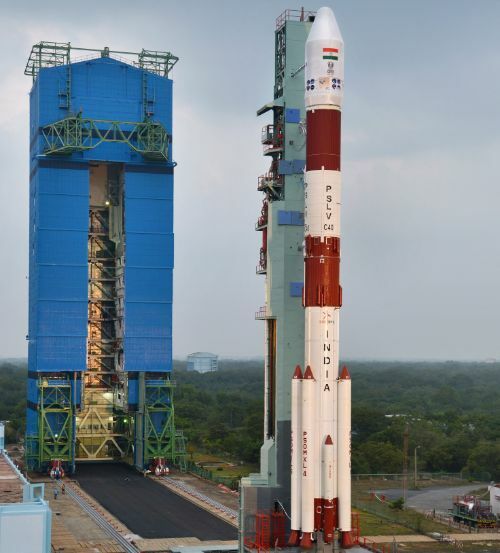 The 3p’ constellation of 4 satellites follows up on the 3p Flock launched by PSLV in 2017 as the largest Flock deployed to date consisting of a total of 88 CubeSats. 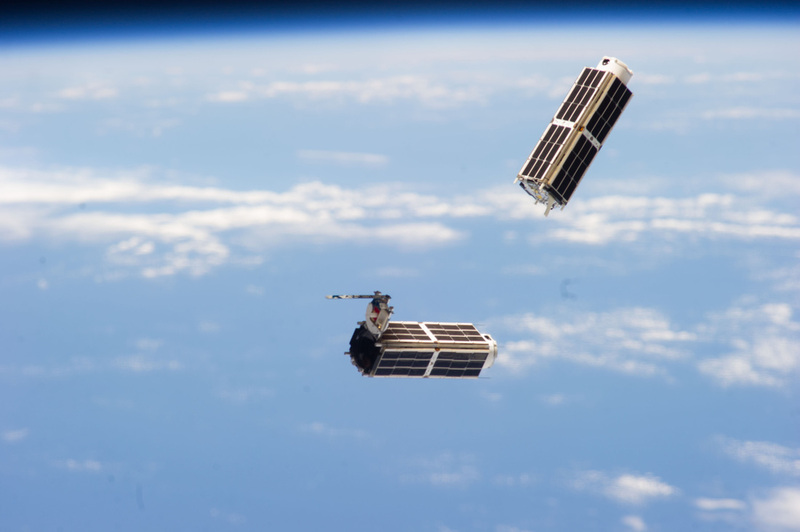 The 3-Unit CubeSats, weighing close to 5 Kilograms and measuring 30 x 10 x 10 centimeters in size, host small telescopic imagers that can collect panchromatic, color and near infrared imagery of Earth at a resolution of up to three meters. 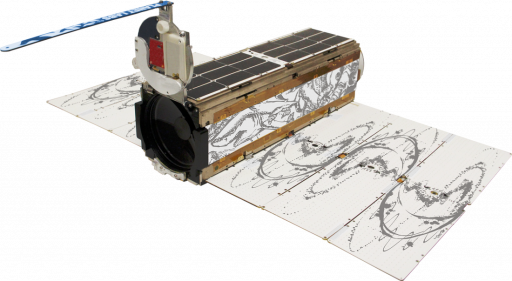 Planet started expanding its business in 2015 by acquiring German imaging company BlackBridge and its five 110-Kilogram RapidEye satellites. 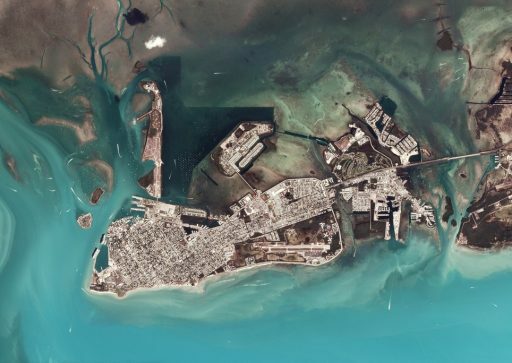 In early 2017, it was announced that Planet was acquiring Google-owned Terra Bella to add a complementary high-resolution capability via the SkySat spacecraft, seven of which were launched at the time of the acquisition. 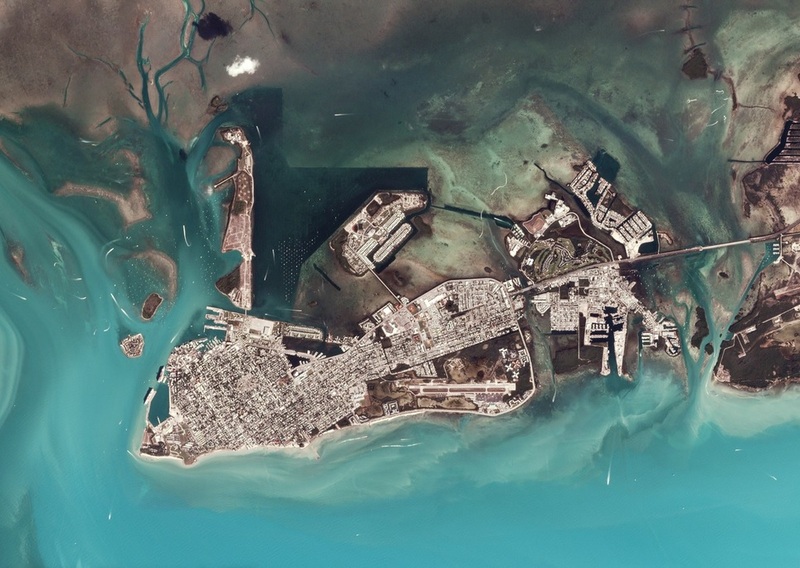 Combining the medium-resolution, rapid revisit capability of Planet’s Doves with the sub-meter resolution provided by the SkySats under one roof enables Planet to offer the full spectrum of Earth observation data for a wide variety of applications by government and commercial customers. The Dove spacecraft are based on the three-unit CubeSat specification having a launch mass of about 4.7 Kilograms and being 100mm × 100mm × 340mm in size featuring body mounted solar panels and two deployable solar arrays with three panels each using triangular advanced solar cells. The solar arrays are spring-loaded and deployed by burn-wires once the satellites are released into their independent orbits. Flock spacecraft contain Lithium-Ion batteries that provide power to the various systems via a power distribution unit. The load bearing satellite structure consists of three skeleton plates, with L rails along each corner edge. Laser etched side panels are used for the Flock satellites. Attitude data is provided by three-axis magnetometers to accomplish three-axis stabilization via a reaction wheel system and magnetic torquers for momentum management. Fine pointing data is provided by a Star Camera. Flock satellites use a single-board computer to control all spacecraft and payload functions with a watchdog board able to reboot the flight computer in the event of errors or radiation related upsets. The main payload of each satellite is an optical telescope of unknown specifications to acquire medium-resolution images of Earth. The telescope has an aperture diameter of 90mm and is protected by an aperture cover that is deployed via springs. The optical axis is down the central axis of the satellite to achieve a maximum focal length. According to Planet, the Doves achieve a ground resolution of three to five meters, depending on their orbital altitude. The satellites can capture black and white panchromatic imagery as well as multi-band color imagery. Near-infrared imaging capability was added in a later iteration of the Doves and is also available at regular revisit time. The Doves, are going through constant modifications and improvements, even within a group of satellites, not all are necessarily identical. Variations that have been introduced include the use of improved detectors and infrared filters.